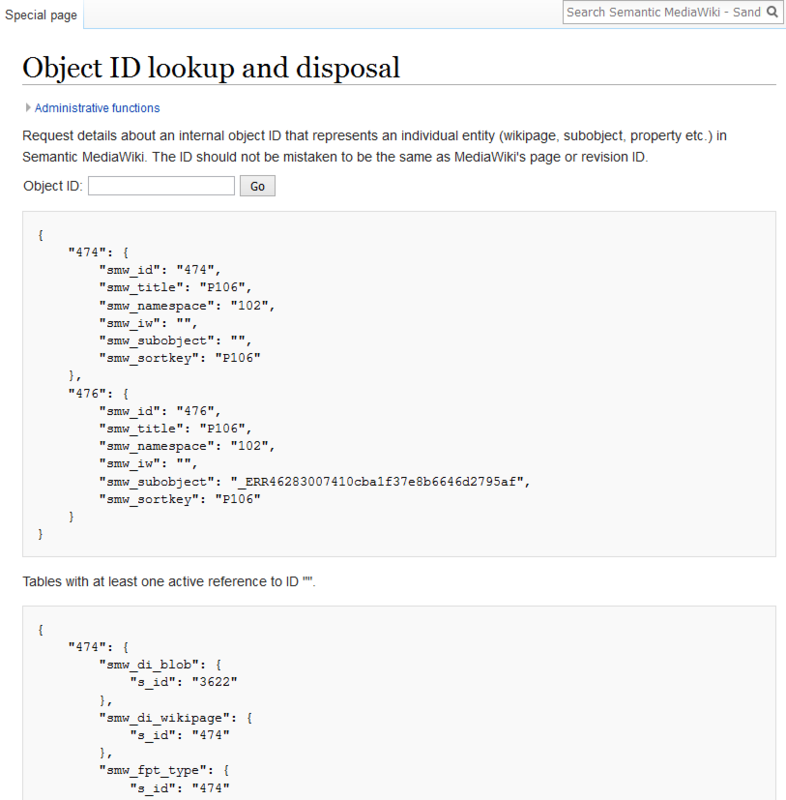 @kghbln FYI I wanted to investigate something on semantic-mediawiki.org but realized that Object ID lookup and disposal can only work with numeric IDs. I tweaked the input a bit with this PR so that now one can also use a string to find matching IDs and work its way through. If the results are not unique (as in case for a single dedicated ID) then the form fields will remove any input hint.